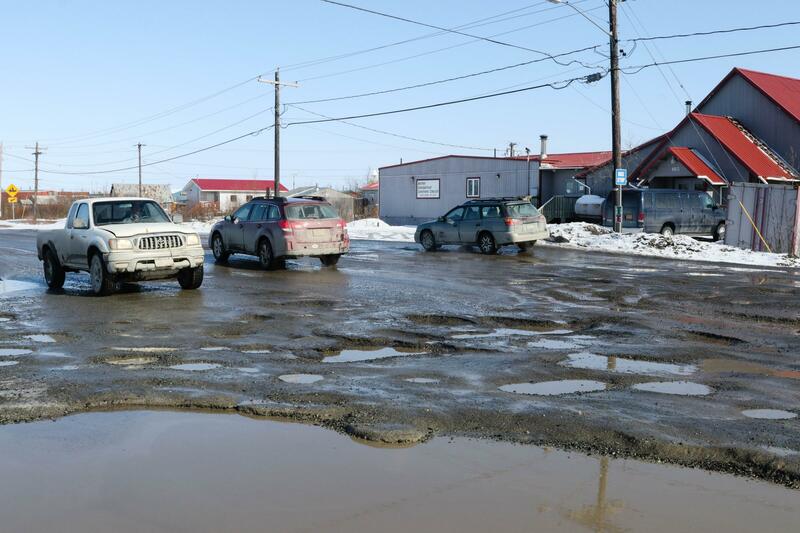 Bethel residents often ask, “Why are the roads so bad?” KYUK sat down with Bethel’s City Manager Pete Williams to find out. “Gravel is gravel, and there will always be a need to maintain it. And the worse the weather is, the more it needs to be maintained,” explained Williams. So why aren’t the roads maintained better? Williams says that frozen roads are impossible to grade, so graders have to work at specific times when the ground is thawed. Also, the city pays grader operators half of what other companies in town pay to operate heavy equipment, making it hard to attract and keep drivers. Also, the grader operators aren’t officially trained, and Bethel City Council members have asked whether that’s the first thing the city should address. At its next meeting, the council will consider a plan to reconstruct three of the highest traffic roads in Bethel through the Housing Subdivision. Williams hopes that this process will make the roads easier to maintain. The top 3 to 4 feet of the roadbed would be replaced with new material and gravel. “Normally you build a building, you have a good foundation, that’s the start of anything,” said Williams. The project would cost almost a million dollars, coming mostly from a state and federal program called the Statewide Transportation Improvement Plan. The city would match 14 percent of the cost. But the project only addresses three roads. Williams wants to remind residents that gravel only lasts five years and the city needs a systematic approach. The city is currently working on its Long Range Transportation Plan, which seeks to include the road problem. The Public Safety and Transportation Committee meets May 1 at 6:30 p.m. to review the plan. City Manager Pete Williams encourages residents to attend.